It's the news all of us knew would come but even so, it's incredibly hard to take. Singapore is what it is today thanks to the vision of Mr Lee Kuan Yew. He is truly the Founding Father of Singapore and that is a title that nobody can dispute. 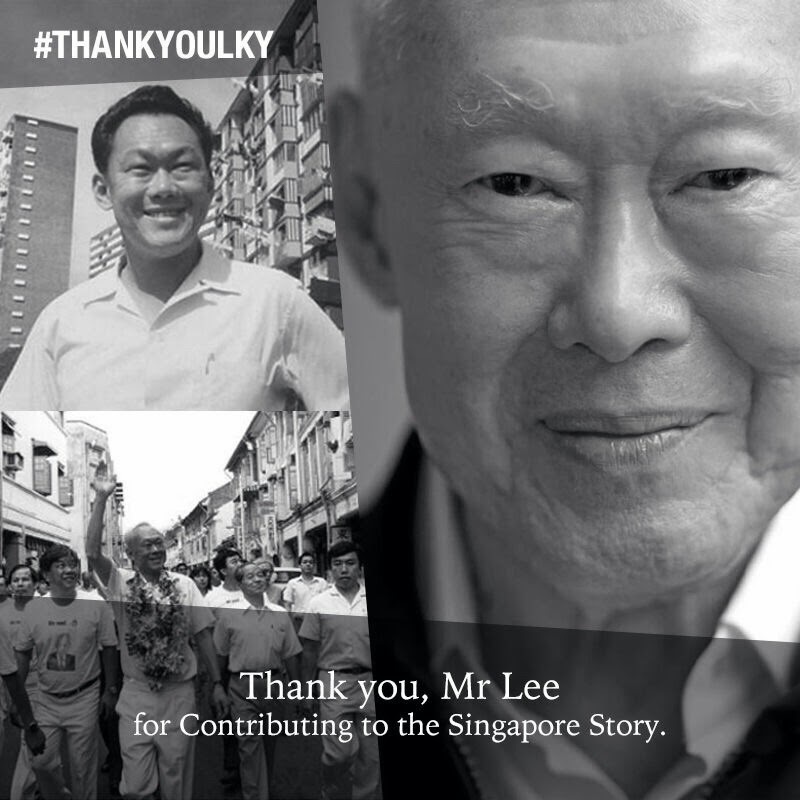 Mr Lee, I thank you for everything you have done. Thank you for the hard work and sacrifices you made. I know if you could turn back time, you would do it all over again. That's how much you love Singapore. I pray that you and your late wife Kwa Geok Choo have reunited in the heavens above. That thought makes me smile because all of us know how much you love and miss her. May your legacy last forever sir. Demise of a great man... It's Singapore's loss.